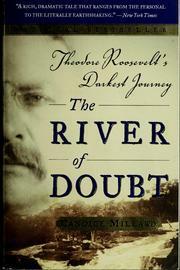 Candice Millard’s “The River of Doubt: Theodore Roosevelt’s Darkest Journey” is one of the most popular and well-loved books on any president currently in print. Published in 2005, this was Millard’s inaugural work and quickly became a New York Times bestseller. Millard is a former editor and writer for National Geographic. Self-evident from the book’s title, this is not a comprehensive biography of Teddy Roosevelt. Instead, it is a dramatic and brilliantly told story of one of the most riveting and dangerous years in Roosevelt’s life: his journey to South America in late 1913 and his 400-mile expedition down the Amazon basin’s previously uncharted Rio da Dúvida (the “River of Doubt”) in the early months of 1914. This journey, which typically receives between one paragraph and a few pages in traditional TR biographies, gets 353 pages in this fast-paced narrative. And what begins as a tale of excitement and adventure for the intrepid Roosevelt (who had recently lost his third-party bid for the presidency) ends as nothing less than a story of desperation and survival. The first 140 pages recount the planning and preparation for the odyssey; the overland journey to the river’s headwaters itself took the group over two grueling months. Most of the remaining text is dedicated to the trip down this nearly unnavigable river through a rainforest teeming with hostile natives, wildlife and pathogens. The book ends with an Epilogue which briefly follows TR (and his son, Kermit, who accompanied him on the trip) to the ends of their lives. Given the narrative’s vibrancy and fluidity it is hardly surprising that Millard is a former writer for National Geographic magazine. She is blessed with the uncommon ability to construct scenes which completely engage and then never let go of the audience. Her text is consistently rich, colorful and eminently absorbing. Like most high dramas, this book’s final chapters are not quite as satisfying as its core…but there is rarely a dull moment to be found. In fact, this journey Roosevelt undertook (somewhat haphazardly and at enormous personal risk) is so naturally engrossing I’m surprised it went uncovered in this fashion for nine decades. But the author did not simply paste together snippets of the journey from TR’s diary and embellish the scenes to add spice. It is abundantly clear that painstaking and detailed research preceded the drafting of this story. Her familiarity with each member of the expedition, her knowledge of the geology of the South American continent and her understanding of the rainforest’s complex ecosystem (and her ability to convey that information) assist in creating an insightful and robust backstory. Millard’s knowledge is often so acute it’s a wonder she wasn’t an ecologist on the journey herself. And her observations of Cândido Rondon, the expedition’s leader and the real hero of the story, are nothing short of superb. But as good as Millard’s book proves to be, it is not (and cannot replace) a traditional biography of Teddy Roosevelt. While it does not ignore his frail childhood, his adventurous youth, his career of public service and his presidency, these are only briefly mentioned in order to create context. His full life story is never the focus of Millard’s book. A few critics suggest “The River of Doubt” is an empty thriller full of danger and intrigue but without much substance, that it resembles little more than a series of interesting character sketches. Others claim it occasionally oversimplifies hard science and that it is sometimes repetitive. There is a grain of truth in some of those assertions. Overall, however, this is a masterfully-told story of adventure and perseverance. Much of what Theodore Roosevelt accomplished during his life falls outside this book’s primary orbit, but the lessons it offers and insights it provides into his character are invaluable to understanding the man. “The River of Doubt” is not only thoroughly entertaining – it may well be the ideal introduction to Roosevelt for anyone considering reading a full-scale, comprehensive biography of him in the future. I am going to have to pick this one up! I read this book a number of years ago and totally agree with your review. Well done. 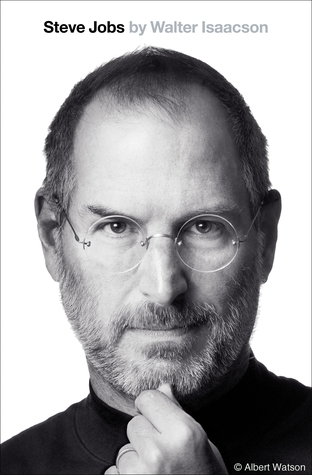 I read this book when it first came out and fully agree with your strong recommendation. Any thoughts on the essay in today’s NYT that characterizes Teddy R as one of the worst ex-Presidents (along with John Tyler)? I think it’s important to recognize that most editorial writers have a very constrained word count, and the author of the NY Times piece of best and worst post-presidencies had to squeeze eight examples into less than 1000 words. His assessments of Pierce and Buchanan are, I think, quite defensible. And when you consider how many presidents DON’T have a post-presidency, or how many of them are fairly innocuous, then TR’s antics really raise eyebrows. Not so much the African safari, which may just be a sop to modern environmentalist sentiments, but his treatment of Taft and his prosecution of his 1912 comeback attempt — the more I read about it, the less I like him. He comes across as borderline unhinged. Wow! Just finished this one…So glad you reviewed it here, as I hadn’t heard of it previously! I think you hit the nail on the head with this review. It comes as no surprise that Millard has written for National Geographic, as this read rather like a long NatGeo article – in a good way! The amount of detail around the ecology of the rainforest was amazing, and the background on the Cinta Larga people very interesting. Kermit, Julio, Father Zahm, and especially Rondon were all fascinating individuals in their own right. It certainly served as a change of pace from a true biography, as only minimal space is given to Roosevelt’s political career. I think it serves as a testament to Millard’s writing that this story would have been just as gripping had it happened to a group of unknown ecologists 10 years ago, as opposed to one of our most famous Presidents over 100 years ago.